Why Would You Spend £700+ on a Luxurious Chromebook? Chromebooks should not cost $1,000 (about £794). As much as I adore the Pixelbook from Google, I know I cannot reasonably ask anyone I care about to spend a minimum of $1,000 to own it. 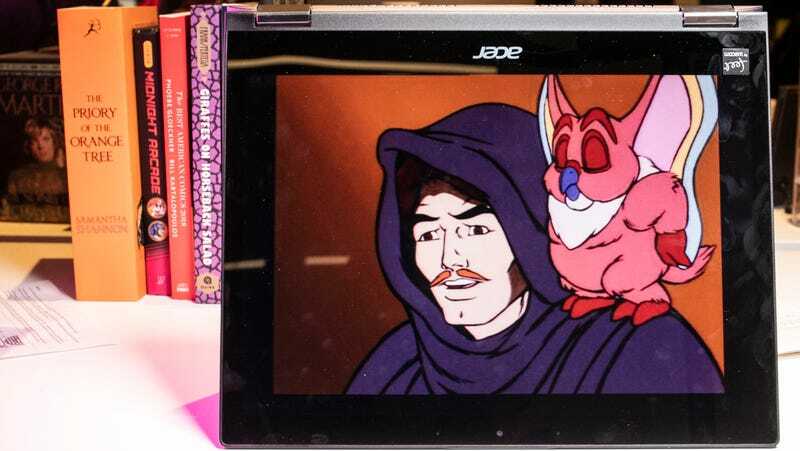 Which means it is also a struggle to consider Acer’s Chromebook Spin 13, which borrows heavily from the Pixelbook while also introducing welcome improvements, increasing the power and cutting the price by $100. This luxurious chromebook is full of great ideas—but a $900 luxury chromebook is a damn hard sell. Starts at $700. Reviewed at $900 (about £715 , no UK price announced yet). The display really is lovely. It's a big, loud, expensive chromebook! And this thing is very luxurious. The build quality is some of the best I’ve seen from a chromebook. When closed you could mistake it for a Windows machine. It’s all metal and cool to the touch. The hinges are a shiny chrome and its big 13.5-inch display with a wild 3:2 2256 by 1504 resolution display immediately catches the eye. It’s decently bright, maxing out at 372 nits in our testing, and the battery life is pretty fantastic. In our battery test, where we stream a YouTube video after setting the brightness to 200 nits, the Acer Chromebook Spin 13 lasted 10 hours and 2 minutes. The Pixelbook lasted just 8 hours and 53 minutes, while the much cheaper Samsung Chromebook Plus v2 lasted just 7 hours and 42 minutes. But Samsung’s tiny chromebook also costs about £500, and the Chromebook Spin 13 from Acer that I’ve been reviewing costs $900 (no UK price announced yet. Estimated price of £700 to £800 is expected). That’s a lot of extra money for a better processor, display, and a few more hours of battery life. There is a cheaper Chromebook Spin 13 config. The $900 unit reviewed here has a 64GB SSD, 8GB of RAM, and an 8th-Gen i5-8250U CPU from Intel that seems to kick on the fans to cool it every time I watch Netflix for more than a few hours. 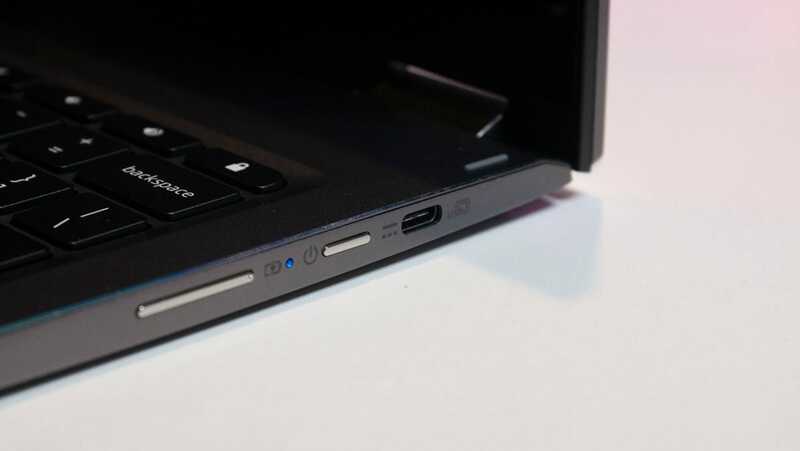 Yet, for $800 (£635 -- again, no UK price) you can get a more reasonable i3-8130U, and for $700 (£556) you can get that i3-8130U with just 4GB of RAM—maybe they’ll engage the loud fans less. They’d also likely be a lot more appealing running Chrome OS. The point of Chrome OS machines is that they can run leaner. They don’t need big storage drives, and they don’t need a lot of RAM, and they definitely do not need a processor like the i5-8250U. That’d be welcome in Windows 10 or MacOS, but Chrome is supposed to be less demanding to begin with and the i5-8250U can and should be overkill. Okay, all that money does also get you a whole mess of pots, including USB-C, USB-A, and microSD. 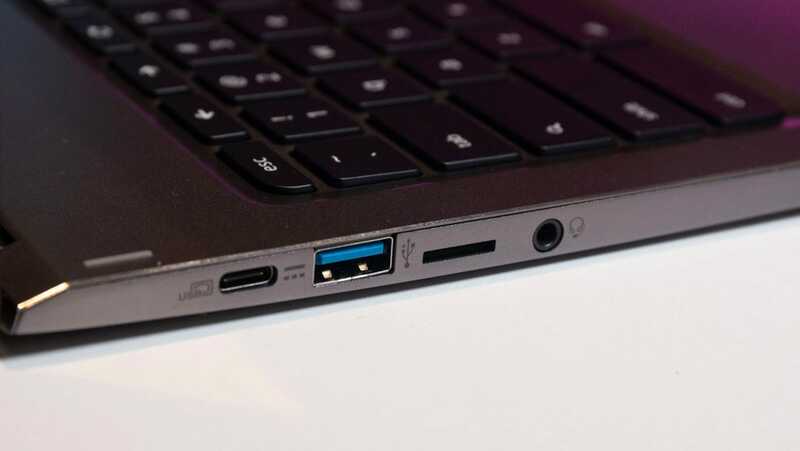 And another USB-C port! Plus a volume rocker than it dangerously close to the power button. As I learned the hard way. 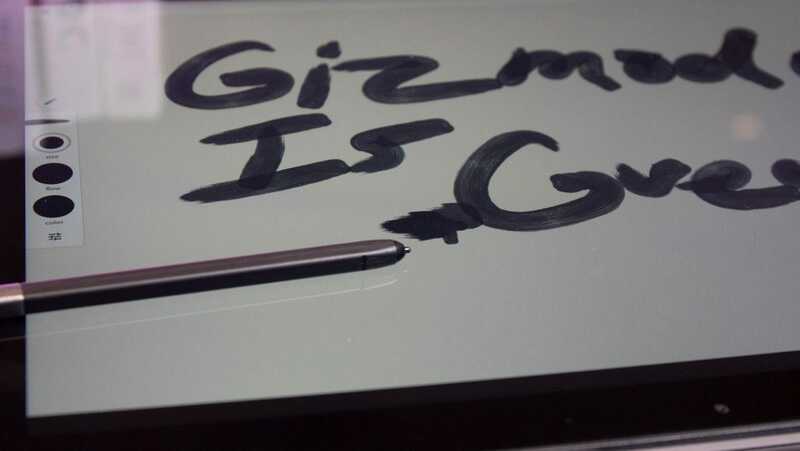 A week with the Chromebook Spin 13 confirms that too. Yes, it’s technically faster than the Pixelbook, which uses a 7th-Gen Intel processor, but that extra speed isn’t apparent when you’re using the Chromebook Spin 13. 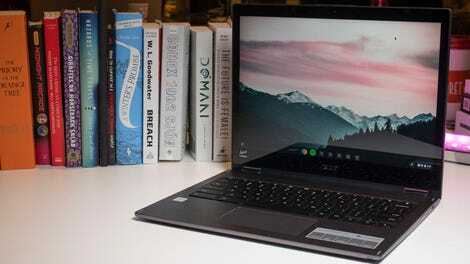 It doesn’t feel that much faster browsing, though in WebXPRT 2015, a synthetic benchmark that scores typical web-based tasks like image resizing and spreadsheet managing, the Acer performed better, scoring a 540 versus the Pixelbook’s 453. Realistically, I only see chromebooks lag when they score under 300—like the Samsung Chromebook Plus v2 (260). And even with Samsung’s much slower Chromebook, the performance lag wasn’t awful. I never felt like pulling out my hair using it. So why would I want to spend $400 more for Chrome tabs that open a fraction of a second faster? Acer isn’t just focusing on bloggers with this chromebook though. 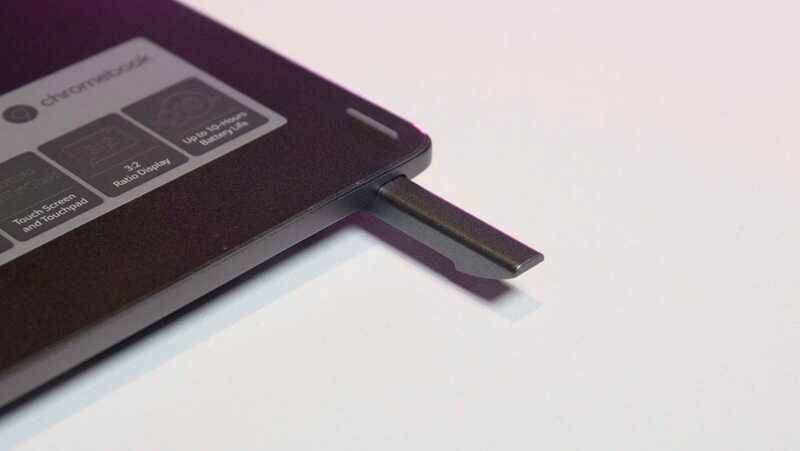 The Spin 13 is a convertible laptop with a 360-degree hinge, and a neat little stylus (powered by Wacom tech) nestled in a garage under the palm rest. It’s for artists and designers as much as notetakers. And the app selection for said artists has improved in the last two years thanks to Android app support on Chrome OS and Google’s aggressive development of pen-recognition technology. Using a pen on the Spin 13 is a much nicer experience than it was on the original Samsung Chromebook Pro back in early 2017. The stylus garage is a new trend I love. The tip on the stylus is quite nice. 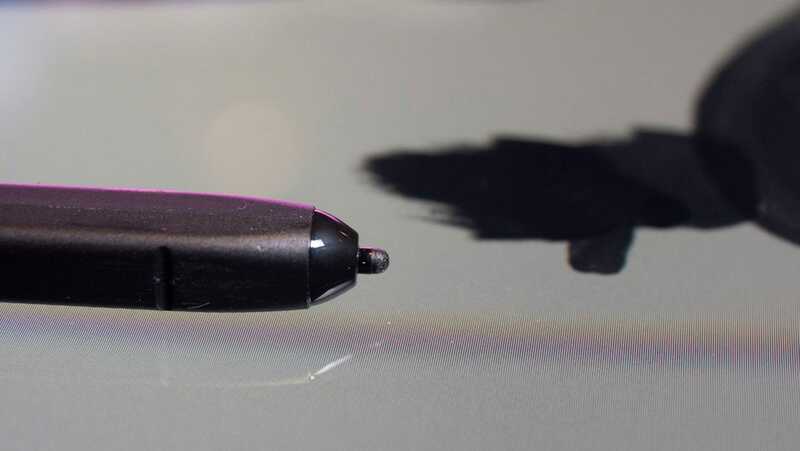 But the stylus is quite small, and won’t be comfortable using for long art sessions. 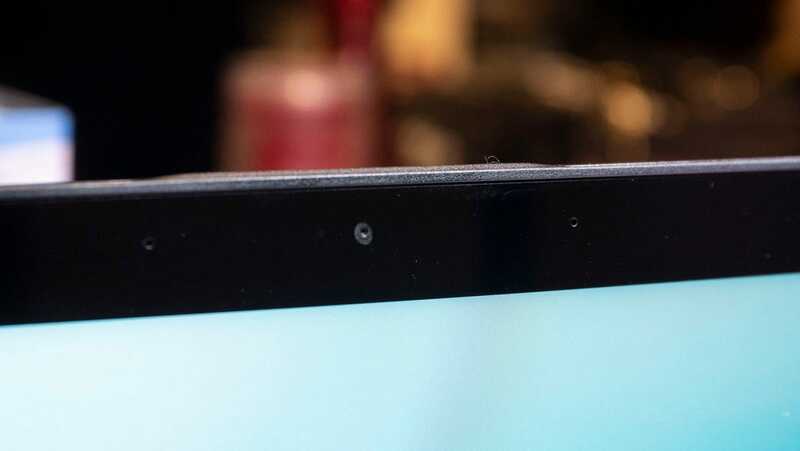 The lag has dropped off, and the tiny stylus Acer includes with the Spin 13 has a pleasant little nub that makes the sensation of drawing it across the slick glass surface far more pleasant than on something like the Pixel Slate launched last month. Still, the stylus is tiny. You’re not going to be using it to draw all day, or even a few hours while sitting on the couch. A chromebook still doesn’t make a good case for itself for my day to day work. Google has been framing the Pixel Slate as a cheaper alternative to the iPad, and it does a pretty good job, but the Acer Chromebook Spin 13 is far too heavy to be an iPad alternative. It’s 3.31 pounds (1.5kg)! And 0.7-inches (1.7cm) thick! It’s big. It’s powerful. It’s luxurious in a way that doesn’t mesh with Chrome OS itself. 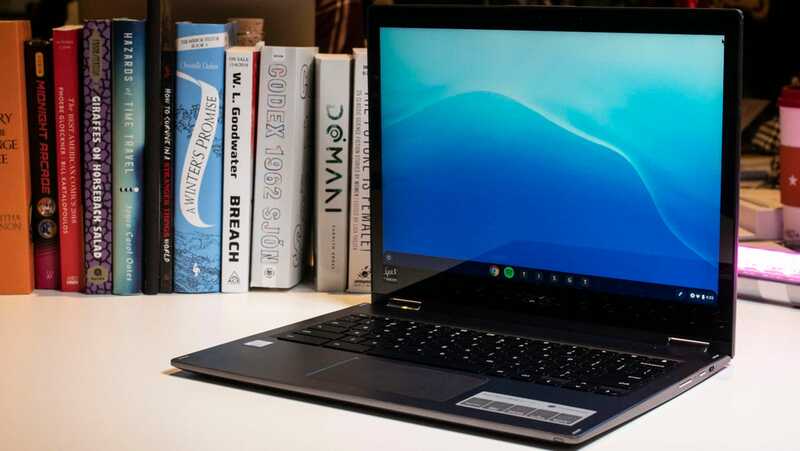 If you want a Chrome OS device, and for many people its still a great idea, then you should be wary of spending more than £500. 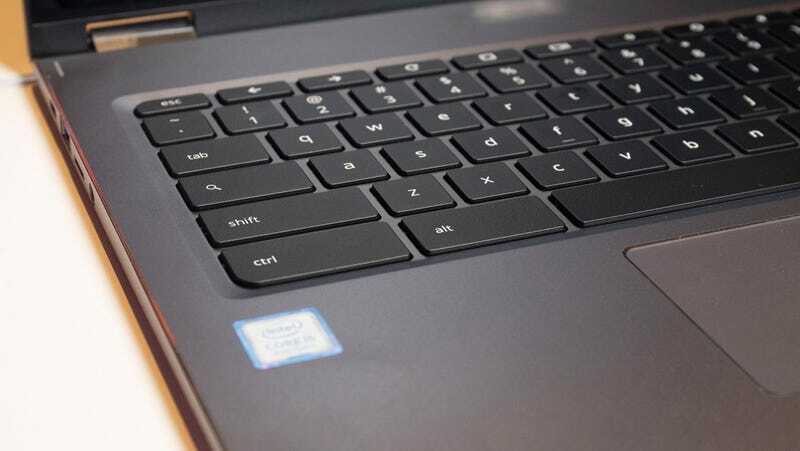 Sure laptops like the Spin 13 and the Pixelbook will promise beefier CPUs and better battery life than the Samsung Chromebook Plus v2, but there aren’t a lot of situations in which you’ll feel that benefit. Not yet at least. Fancy chromebooks exist, but no one should buy them, for the same price you can just get a really nice Windows laptop. It might be one of the fastest chromebooks ever. But you will never notice that unless you’re obsessed with synthetic benchmarks. The garage for the stylus is lovely. The enormous 13.5-inch display is lovely, but not lovely enough to spend this much on a chromebook. At 3.31 pounds, it’s damn heavy. If you really, really want a big, powerful chromebook with a 13.5-inch 3:2 display than save your money and get the cheaper version with the i3 processor and 4GB of RAM. It will be enough.